Let’s face it: There’s nothing more frustrating than a landing page, form or campaign that just doesn’t deliver. We talk a lot about ways to optimize conversions. But it’s just as important to recognize the danger zones that, if left unchecked, can become serious conversion killers. The good news is, with a few minor modifications to design, messaging or timing, these conversion killers can be transformed into conversion heroes. By using a measured and strategic approach to deploying changes (and keeping track of what works) you can write your own playbook detailing exactly how to transform a weakness into an opportunity. 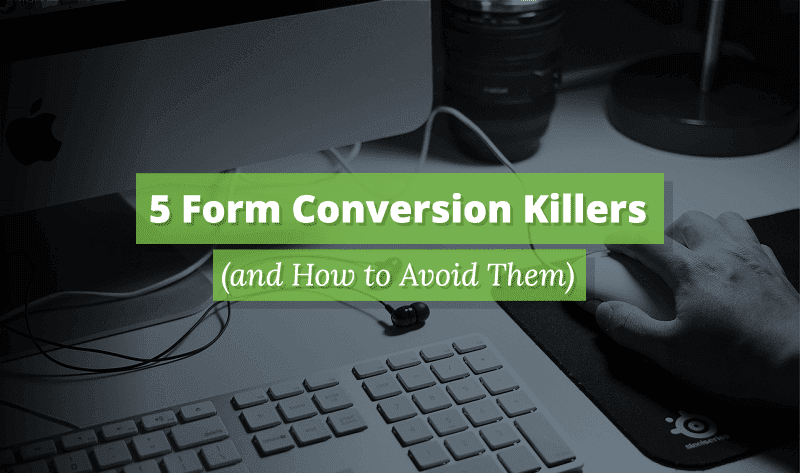 This infographic, produced by Formstack, illustrates 5 common problems that you may be facing when it comes to website form conversion.